Bahrain Minister of Transportation & Telecommunications visits Zain booth at MWC Barcelona, talks center on Kingdom’s 4th National telecom plan over next three years. Bahrain Minister of Transportation & Telecommunications discusses the future of Kingdom’s telecom sector with Zain Group Management. 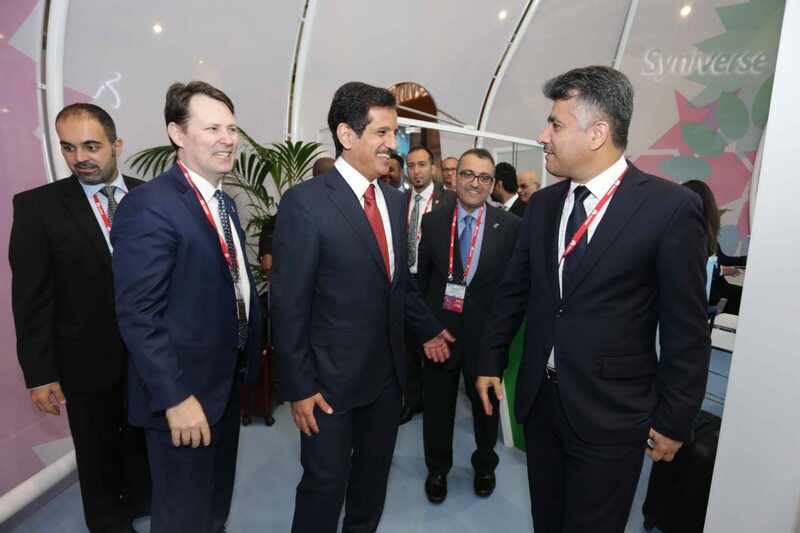 Bahrain’s Minister of Transportation and Telecommunications, HE Engineer Kamal bin Ahmed paid a visit to Zain Group’s booth at the Mobile World Congress (MWC) held in Spain. During the visit the Minister held talks with Zain Group Chairman, MrAsaad Al Banwan, and Group CEO, Scott Gegenheimer along with Zain Bahrain CEO, Mohammed Zainalabedin. The meeting also discussed the latest details pertaining to the 4th National Telecommunications Plan spearheaded by the Ministry which will set out the strategic objectives and the work plan for the sector for the next three years. His Excellency the Minister outlined the key themes of the plan, includingthe provision of high-quality telecommunications services based on competitive prices, studying the position of the infrastructure as well as safe and high-speed data services coupled with increasing consumer confidence in telecommunications services in Bahrain. His Excellency the Minister thanked Zain Group Chairman and CEO for the recent USD100 million investment in overhauling the 4G network in Bahrain, making the operator one of the most technically advanced in the world. The network, deployed and managed by world-renowned solutions provider Ericsson, provides a whole new realm of exciting high-speed digital content capabilities to the increasingly technologically-savvy customers. “Zain Bahrain has played a historic and active role in the development of the Kingdom’s ICT sector through a multitude of technological innovations over the years playing a contributory role in Bahrain’s socio-economic growth. The Group’s holding ofits Zain Technology Conference in Bahrain last year under the theme of ‘Transforming Our World’ underlies Zain’s dedication to the Kingdom’s ICT sector and the Ministry looks forward to fostering this mutually beneficial cooperation in the years ahead,” said His Excellency. “Zain Bahrain’s strategy moving forward is to transform into a digital lifestyle operator by expanding its services in the areas of innovation and digital services provision. It’s a collaborative approach with His Excellency the Minister to get us ready for a digital future,” said Al Banwan. Next articleflydubai Announced Addition of Flights.